Bracamontes & Vlasak is one of the few California law firms representing only tenants in its landlord-tenant practice. In no other area of tenant practice is good representation as urgent and important as in the case of tenant lock-outs. In California, you have a right to privacy in your home. 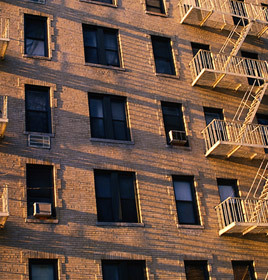 The law allows a landlord to enter a rented residential property only in certain circumstances. Too often landlords ignore the law or do not understand it. If your landlord appears at your door unexpectedly, you do not have to let the landlord in (unless there is an emergency repair that needs to be performed). If your landlord has entered your apartment without permission and without giving 24-hour notice, you should consult a tenant’s attorney about your rights. It is illegal for a landlord or property owner simply to change the locks on a tenant, even if the tenant has not paid rent. Rather, the landlord must go through the eviction process with the court and obtain a judgment against the tenant. No one can kick you out of your home except the Sheriff enforcing a valid court judgment. If the landlord believes that you have abandoned the tenancy, the landlord must still follow the proper procedure of serving a notice of belief of abandonment. If you have been locked out of your rental unit without notice of an unlawful detainer case against you or notice of belief of abandonment, contact a tenant’s attorney at Bracamontes & Vlasak today to discuss your legal rights. We have achieved excellent results for tenants that have been wrongfully locked out of their home. Often in lock-out cases, landlords wrongfully retain or discard the tenant’s property in the unit. This can be devastating, and in many cases amounts to taking everything the tenant owns. Locked-out tenants often have nowhere to go and may become homeless. Pursuant to California Civil Code §1987, if your landlord has retained your personal property-even if you have been evicted pursuant to a valid court judgment-the landlord must release your personal property upon your request. The release may be conditioned only on the tenant paying reasonable storage costs. Once the tenant offers to pay such reasonable costs, the landlord must immediately release and surrender the property to the tenant. Failure to do so constitutes a tort of conversion of the tenant’s property and results in the landlord’s liability. Even in cases of abandonment, a landlord cannot lawfully auction or discard a tenant’s property without notice. If you have been locked out of your rental unit without notice of an unlawful detainer action or notice of belief of abandonment, you remain in legal possession of the unit and have the right to regain entry. In addition, you likely have grounds for an affirmative lawsuit against the landlord for your damages. Pursuant to California Civil Code § 789.3, tenants are entitled to $100 dollars per day in statutory damages for illegal lock-outs. If the tenant can prove a violation of the San Francisco Rent Ordinance, the landlord can be liable for treble (triple) damages and attorney’s fees. If you have been locked out of your home without a court judgment against you, contact a tenant’s lawyer at BV Law today for a free consultation regarding your legal rights and options. We are also available by telephone at 415.835.6777.